When looking for the diamond buyer near you to get the right price with the right buyers. As this precious stone or gem is the most expensive and precious one from other gemstones, there are special considerations to make before you actually sell them. Once this is gone, you must prepare to not regret with the prices. 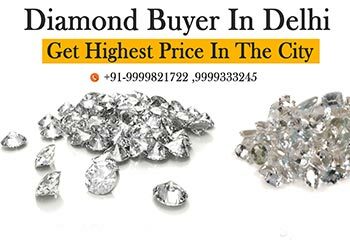 So make yourself tough and research more with our guides as we offer to give the best cash for diamond for all the items you wish to sell in less time than you have imagined before. To enjoy a free quote on the way, visit us now. We take no more than 15 minutes to disclose your deal and get you the benefit to earn from their long lost valuable dime. Not every item requires a detailed examination but this, so to go for a sell, either know how much your valuable is worth of or keep an invoice or a valid statement to proof your selling procedures are in the right foot. Sell with us, we offer a complete guide before you take any serious step. Our professionals can examine and evaluate all the four C’s of this precious stone. The main requirements come with the fineness of this as well as the cuts. The finer is the cut, the more rate it is and also the weight of it. With us, you can trade any piece of this precious stone. 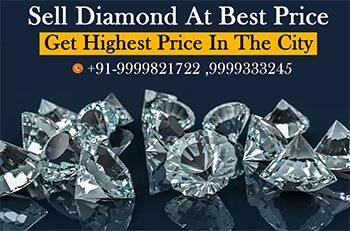 We have our fine and experienced Diamond buyers in Delhi to help you with any procedure or any query you might face on anyway. We are in the market from over 20 years in the market with our very own qualified jewellers. We have many branches at different areas like Noida, Delhi, Greater Noida, Ghaziabad, Faridabad, Gurgaon and other 20 plus retail outlets to facilitate the dire need of money in a bad financial time. There may be plenty of reasons to sell such an expensive item but most Importantly whether it is for any need of cash or not, we are able to offer a good amount of cash in no time and also acquire your good bond with our valuable customers. We accept all types of diamond with any fine cut. The finer the cuts are the more the carats are. If there are fewer cuts then the price automatically hikes down in the lower end. Therefore, we buy jewelry of any kind whether it is a solid stone, scrap or a jewelry piece of ring, necklace and other jewels.